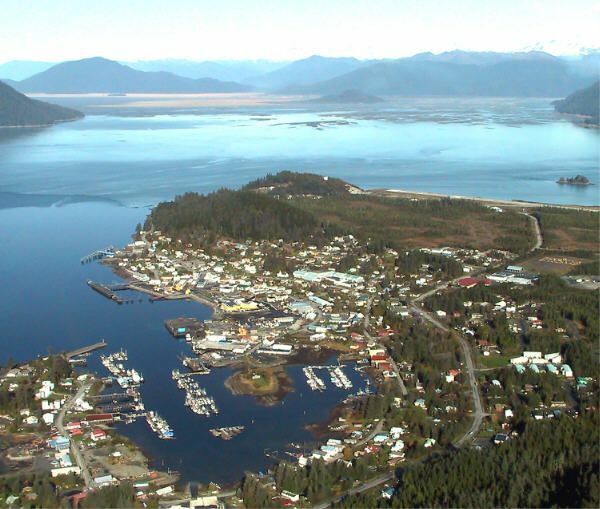 Wrangell Alaska has declared a water emergency and could be the 2nd city to run out of water this year along with Cape Town in SA. City officials say the Southeast community has about one month of supply left. So, they're asking residents to cut way back on use. Those conservation measures and more rainfall could solve the problem. The city said it will "aggressively monitor and strictly enforce" water restrictions for residents. These mandates include no outside water usage, fixing plumbing leaks and reducing everyday consumption. "Obviously nobody's watering anything outside yet because it's still too cold. But there's going to be an urge to want to wash your cars," city manager Lisa Von Bargen said. "Please refrain from doing that, and washing of decks or driveways or paved surfaces or things like that." Residents who don't comply will get a verbal and written warning. Further violations could bring a $500 fine. Wrangell does not have a water metering system. The city issued a red alert. This comes less than three weeks after it announced a lesser yellow alert. The water shortage is two-fold. There isn't enough raw water because the island hasn't gotten much rainfall. And, the water treatment plant isn't cutting it. Through its filtration process, it's losing hundreds of thousands of gallons a week. "Every time we do filter cleanings we're dumping approximately 150,000 gallons of water which is a ridiculous loss because there's no way to recoup that," Von Bargen said. Further South on the Western Coast this week, parts of Oregon where declared a drought emergency after low levels of rain and snowfall this winter and the same problem has hit most of California. Cape Town residents in South Africa are forced to queue at communal taps at 200 water points-likely under police or military guard-to collect a daily ration of 25 litres (6.6 USA gallons). The latest data from the City of Cape Town indicates that dam storage level is at 24.9% - a weekly decrease of -0.6%. South Africa has declared a national disaster over the drought afflicting southern and western regions including Cape Town, though the city pushed back its "Day Zero", the date when its taps are expected to run dry. However, the decision to declare a national disaster means the central government - which is run by the African National Congress (ANC) - will now take responsibility for relief efforts. Thanks to poor rains over the last three years, the city is in the throes of a severe water crisis, looking at a possibility of "Day Zero" approaching soon. A single toilet flush uses nine litres. It will probably arrive in May, a month or two before the onset of the winter rains. Meanwhile, Day Zero, the day that taps will run day for Capetonians, has been extended to June 4 from May 11,2018. The widespread drought has gripped swathes of the nation's south and west. "The drought in the Western Cape offered an opportunity to learn from past mistakes". Over the past week, consumption has been lowered to 526 million litres a day. DA leader Mmusi Maimane praised Cape Town residents for significantly slashing their water consumption. Yes, it is all over the world. In central Argentina this year the worst drought in 70 plus years according to the newspapers. The hydrological cycle has been completely disrupted. If the land in Alaska is getting hotter faster than the sea then there are meteorological reasons why there might be less rainfall. To increase sea temperatures relative to land Alaska could use this method: If you have a dark surface with a film of water over it and you let sunlight fall on it you have a greenhouse. This is because the sunlight is absorbed by the dark surface and it heats up releasing significant infrared radiation which is absorbed within a mm or so of the film of water. Sunlight can pass through the film of water to the dark surface, but the infrared radiation released by the dark surface cannot exit the water film (it is absorbed too quickly). So one could cool off cities by reflecting solar radiation, that would have heated the ground, onto a dark wall in the sea that has water pumped over it (creating a film of water over the dark wall). This will cause evaporation and enhance rainfall. I must add this: One could have a huge matt black foam rubber sheet with holes in to let seawater onto the top and place it into the sea when needed. It could be attached to other sheets to make a huge artificial wet black floating island. It could be rolled up and stored on a ship.